Move over olive oil, there’s a new healthy fat in town: coconut oil. Although some nutrition experts are dubious about coconut oil’s health benefits, since it is a solid, saturated fat, numerous studies have indicated that there may be more to coconut oil than meets the eye. Read on to find out about seven reasons why you may want to switch out some more traditional cooking oils for this tropical fat. A 2011 study of pre-menopausal women found that those who consumed more non-hydrogenated coconut oil had higher levels of HDL, or good cholesterol. This finding remained true even when factors such as age, total caloric intake, and BMI were accounted for. As you likely know, fat carried around the middle is the most harmful type, and is typically associated with the highest rates of heart disease and diabetes. A 2009 study of women with large waist circumferences indicative of significant abdominal obesity found that those who added coconut oil to their diets actually reduced the amount of belly fat they carried, when compared to women who did not change their diet or who added soy oil. As part of a balanced diet, coconut oil may help promote weight loss. A study in mice found that those fed coconut oil tended to have lower body weights than those fed soy oil or a fat-free diet. Linked with the 2009 study mentioned above, it seems that coconut oil can definitely play a role in weight loss when consumed in moderation. Eating coconut oil with tomatoes or other red and orange fruits and vegetables may help you absorb carotenoids, according to a 2012 study in gerbils. Carotenoids are a fantastic source of vitamin A, protect your cells from free radicals (and therefore cancer), and help your immune system and reproductive system work properly, so they are definitely compounds that you want to be able to absorb! 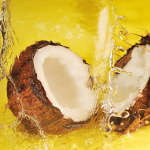 Like other plant-derived oils, coconut oil is completely free of cholesterol. If you typically use butter and other animal fats in your cooking, substituting coconut oil can be an excellent way to reduce your overall cholesterol intake. Because high LDL cholesterol levels are one of the main contributing factors of heart disease, it’s always a good idea to cut out unnecessary cholesterol sources when you can. A 2010 study in mice found that coconut oil may have an anti-inflammatory effect on both acute and chronic forms of inflammation, as well as a resulting analgesic effect. This study used virgin coconut oil, specifically, so other forms of the oil may not deliver this particular benefit. Finally, coconut oil was shown in another animal study to have more significant antioxidant properties than a number of other oils. 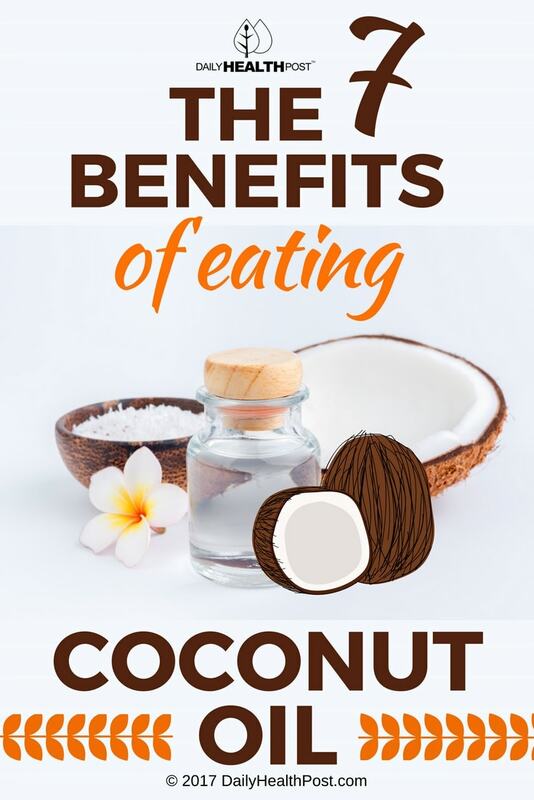 In fact, while the other oils studied had a tendency to reduce the activity of antioxidant enzymes, coconut oil actually increased the activity of antioxidant enzymes in rats that were fed a diet supplemented with virgin coconut oil. Have you added coconut oil to your diet? How do you cook with it?